YA ES UNA REALIDAD. POR FIN VOY A VER UNO DE LOS CÓMICS QUE HE COLOREADO PUBLICADO EN NUESTRO PAÍS. 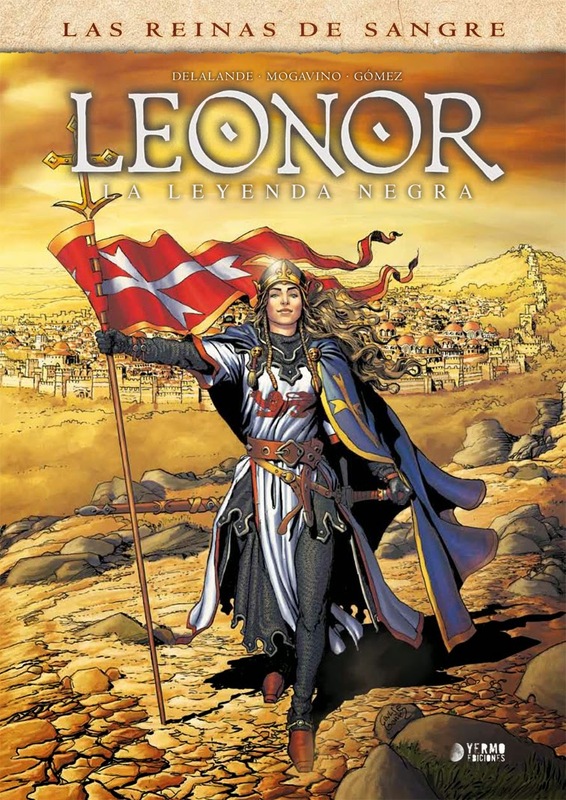 DESPUÉS DE FRANCIA, BÉLGICA, HOLANDA E ITALIA, AHORA HA LLEGADO TAMBIÉN A ESPAÑA ALIENOR (LEONOR EN ESPAÑOL) LA SAGA QUE RECOGE LA VIDA DE LEONOR DE AQUITANIA. ESTE TRABAJO HA SIDO ESCRITO POR ARNAUD DELALANDE Y SIMONA MOGAVINO, Y CUENTA CON EL MAGISTRAL DIBUJO DEL ARGENTINO CARLOS GOMEZ. EL COLOR, COMO YA SABEIS ES OBRA MIA. LLEGARÁ A LAS TIENDAS EL DÍA 31 DE OCTUBRE.